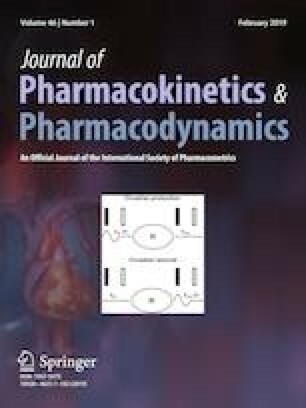 This study aimed to characterize the population pharmacokinetics (PKs) of piperacillin and investigate probability of target attainment (PTA) and cumulative fraction of response (CFR) of various dosage regimens in critically ill patients during the early phase of sepsis. Forty-eight patients treated with piperacillin/tazobactam were recruited. Five blood samples were drawn before and during 0–0.5, 0.5–2, 2–4 and 4–6 or 8 h after administration. Population PKs was analyzed using NONMEM®. The PTA of 90%fT>MIC target and CFR were determined by Monte Carlo simulation. The two compartment model best described the data. Piperacillin clearance (CL) was 5.37 L/h, central volume of distribution (V1) was 9.35 L, and peripheral volume of distribution was 7.77 L. Creatinine clearance (CLCr) and mean arterial pressure had a significant effect on CL while adjusted body weight had a significant impact on V1. Subtherapeutic concentrations can occur during the early phase of sepsis in critically ill patients with normal renal function. The usual dosage regimen, 4 g of piperacillin infused over 0.5 h every 6 h, could not achieve the target for susceptible organisms with MIC 16 mg/L in patients with CLCr ≥ 60 mL/min. Our proposed regimen for the patients with CLCr 60-120 mL/min was an extended 2 h infusion of 4 g of piperacillin every 6 h. Most regimens provided CFR ≥ 90% for the E. coli infection while there was no dosage regimen achieved a CFR of 90% for the P. aeruginosa infection. The online version of this article ( https://doi.org/10.1007/s10928-019-09633-8) contains supplementary material, which is available to authorized users. This work was supported by a faculty grant from the Faculty of Medicine, Prince of Songkla University and Chulalongkorn University graduate school thesis grant. The study protocol was approved by the Institutional Review Board (IRB) of the Faculty of Medicine, Prince of Songkla University (EC; 56-501-14-1). The authorized researchers were granted the right to extract the data from the database.